Simply Punches Holidays!!!! It's HERE!!!! You asked for it and I'm so excited to deliver it!!!! I love the holidays and I love punching so the two combined is going to be a BLAST!!!! I have to say I've already started shooting the videos and making the PDFs for this class because I am SO excited! Today's post is a tease of what's to come! I wanted to demonstrate to anyone that has not participated in an online class what you can expect. You receive a video, a PDF and a photo sample of a different punched creation each day! From September 1 to September 20 I will post a NEW project each day at 12:30 AM for you to enjoy! If you can't check the site every day, not to worry! The online classroom is there for you to enjoy until at least December 31st! What holiday punching can you expect to see......Halloween, Thanksgiving and Christmas!!! I am so excited to not only share new punched creations but also card and package ideas! Hope you can join the fun! 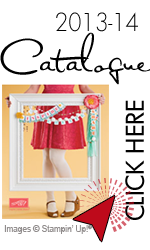 if you are Canadian, go to www.heathersummers.stampinup.net and place a minimum $40 order and receive the class FOR FREE! When convenient for you, you can go to the website and check out each of the daily posts! Chats are also available if you are interested in getting to know some of the other members of the class! Now here's the BEST part!!!! Leave me a comment on this post and on Friday I will randomly select two winners to receive this class for free!!!! If you have already signed up I will refund your Pay Pal payment. If you placed an online order.....ready for this....I will buy you an equal amount of merchandise for FREE as a thank you!!!! Do you know what that means....if you order $100 and you win the draw, I will order you $100 FREE as a thank you!!!! How cool is that!?!?! So, leave me a comment and I look forward to having you join my class!!!! Have a wonderful Monday!!! Di seguito trovate alcune informazioni su questo bravissimo autore di Glasgow e su un'iniziativa ideata da Fazi Editore che potrebbe farvi vincere una copia del romanzo. Was just going through some of my files. Found the invite for the Holiday Punches. I realize it is several months old, but hope they are still available. I paid for the session through PayPal. Please get in touch and let me know if everything is okay and if I can get access. You can find now a lot of punch-creations - but this snowman is definitely the best one I have ever seen. And it is not too complicated and you don't need masses of different punches. Thank you sooo much - I love your card and the colour combination. I am always surprised to see what a difference it makes to put a bit of colour on the edges of the punched out pieces. You are a star! My name is Cindy Smithers and purchased your Simply Holidays video and pdf file. How do I get the printed out version of the Simply Holidays. I can see the videos fine but don't see where there is a place to download or print files. I am loving the punch class but sure had difficulty signing up on ning. But it was worth it for the great designs. Once again you are simply amazing with your simply punches classes! You inspire me! Thank you for all that you do! I am off to sign up! Thanks for the chance at this GREAT class!! I love your snowman. Super cute. Thanks for sharing! I didn't see you post a winner, so maybe I'm not too late in commenting - I JUST found out about your class from SCS. I am an SU demo with a few VERY-into-punch-art customers, so this is exciting for me!! I absolutely love all your ideas. I wish I lived closer to you as I would definitely make you my demonstrator. Not too happy with my current one. Everytime I come to your site, I am inspired to do more. The videos are great and really help with the inspiration. Thanks so much! Heather - this is great! Seeing all of your punch art makes me think outside the box trying to create my own! TFS!Cute card. Your classes sound interesting. Are they open to anyone or just SU Demonstrators? Well thought I would post anyway...can't wait until September 1st for the punch class to start. This will be my first one. The snowman and bird was adorable. Thanks Heather. Sooo cute! You are one creative gal! Love punch art, so I look forward to seeing more of what you have in store! This looks like a lot of fun! I love your blog... thanks so much for sharing your creativity with all of us! Your classes are great. I wish I had the creative thought process you do! Thanks so much for all your inspiration. I'm really looking forward to this one!!!! I am really getting excited about the upcoming punch class. I love snowman and redbirds so, your card was right up my alley. Thanks again for being a good teacher. I'm looking forward to this punch class. I don't have Halloween and Thanksgiving sets so this will be perfect for those occasions. Thanks for doing a holiday class. I have taken all of your on-line punch classes and others which I have enjoyed very much and even received some SU products for free!!!! Let me explain, I asked my SU demo if she wanted to co-host a stamp camp with the ideas I received from your first punch class projects. She said yes, which I was excited. The agreement was she would receive the sales (to met her quota) and ½ of the hostess dollar rewards and I would receive the hostess benefits (free stamp sets) as well as the other ½ of the dollar rewards. Well we held our first "Advance Punch Stamp Camp I" last Saturday and it was successful. We charged $25 for the 4-hour event. The kits included the instruction booklet for six projects, all the cardstock/embellishments and one of the 15.95 punches. We had a total of 20 people attended. Before the day ended they were asking when is the next “Advance Punch Stamp Camp II” scheduled. I just wanted to say “thank-you” for your time in designing these small works of art, the PDFs and the videos. Keep up the work and looking forward to your next adventure. Your card is really cute. Where do you get the creativity? I love the punch characters, how novel an idea. They are really cute! Thinking about signing up! Oh Heather... I think I am going to have to get in on the punches. You amaze and inspire me!! Maybe I'll be lucky enough to win - fingers crossed. I can't wait for this round to start. You could offer different classes every month and I'd sign up every time. Please offer them every month. I love them and learn so much. I have been thinking of the colour combinations in this card since you posted it. Mixing the paper and sponging different ink colours - so nice! Your punch creations are so cute. I must get signed up for this one. The snowman is so cute! A holiday punch class...perfect for the holidays ahead. I hope to win, this class looks really cool. I have never done an online class before. Love your website!!! Tons of cools things to try to make. The girls at work love when I make something and bring in to show them!!! Love all your work. You are very talented. Thanks for sharing. I love your punch classes ... can't wait!! You are absolutely brilliant!! I love punches and love what you do with them. Thanks for sharing your wonderful talent with us!! I love, love, love Snowmen! so I love this card and I really like to do punch art so I hope I win the free class! My punches are my favorite tool and I love to see all the different ideas that everyone comes up with to use them. Thanks for sharing with us. I have done all your punch classes and just LOVE them --have made many of them and my neighbor lady is just getting into punching and she is 77 years old--here's hoping I win this class!!! Great card and great use of the punches!! I would love to win your punch class!! Thanks for the chance to win this class for free! Your punch art inspires me to play with my punches - so keep the punche ideas coming...PLEASE! Heather - I can't wait!!!! I really enjoyed your Simply Babies classes and can't wait to join in on the Holiday class! Although we are temporarily living in Switzerland, and I can't get my crafting fix with my friends in the US, I love the opportunity to create along-side of you through these classes! This is awesome! I am a Stampin Up demonstrator and I would love to use this in a workshop! I have been sick with a terrible cold and feeling wiped out. So I decided to settle myself in front of the TV and punch out all the pieces to this project. I made 25 cards! I cannot tell you how nice it is to have some of my Christmas Cards done early. Too Cute and so easy! What a cute little guy!! Congrats on your awards at convention!! I am not going to miss out on this one. It will be my first, and from what I've seen the projects will be amazing, so I'm really looking forward to it. Off to sign up now!